The answer to this question varies greatly depending on what type of business you are starting. Will your business need a physical location? Will you be manufacturing goods? Will you be selling locally or online? There are many, many questions you can ask to determine how much it would cost to start your dream company. But the truth is that many people who are interested in starting their own business don’t have much money to spend. After all, if you had plenty of money then you wouldn’t need to start a company, would you? 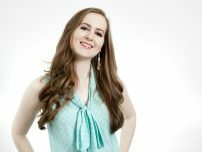 So you might be wondering if there are businesses you could start without very much upfront investment… and the answer is: yes! Most businesses along these lines require some type of skill, but not very much money to start. How much money? Less than $100. Of course, the first step to know what you’re selling, who you’re selling it to, and how you’ll deliver it. Once you’ve nailed down your business concept, it’s time to dream up a great name that will appeal to your ideal customer (and perhaps make it obvious what you offer). Coming up with a name is free, obviously, but what is also free is research. It’s important to use your state’s business registry to do ensure that there aren’t any other businesses with similar names. You should also use Google to confirm that the name you’re considering doesn’t bring up specific competition (or anything weird). Finally, visit SiteGround to find out if your business name .com is available. These days, having an exact match domain is invaluable. Visit your state’s business registry website and register your business as a sole proprietorship. You’ll get an ABN (assumed business name — also called a DBA) for your new company. Once you’ve registered your business, you’ll get a BIN (Business Identification Number). At most banks, all you’ll need to do this is a BIN (which you obtained in step #3), and an opening deposit. Sign up for website hosting with a company such as Siteground or Bluehost. Hosting will cost about $4.00/month and generally comes with a free domain name registration. Create a website that clearly tells about the benefits of your product or service. Then install “Woocommerce,” a free plugin that allows you to sell products (digital or physical) or services on your site. Using Woocommerce you can get paid via Paypal, which is also free aside from transaction fees. In the interest of starting a business on a lean budget, go with Mailchimp. 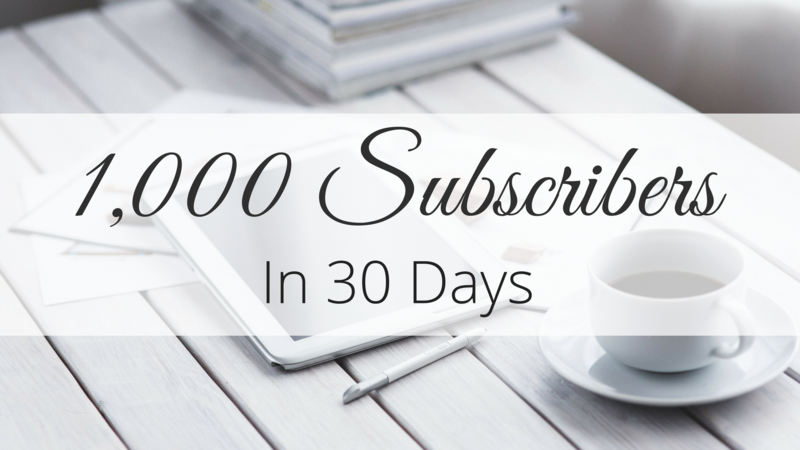 They’ve got a solid email marketing software service that is free until you reach 2000 subscribers. Sign up for business accounts on Facebook, Twitter, Pinterest, Instagram, etc. (whichever platforms make the most sense for your business). On most social media platforms, business accounts give you access to additional tools such as analytics and advertising. Content is what will attract people to your website and get them interested in your offerings. It’s free to create but does require time. In the first nine steps, you only spent about $54. That’s a lot less than $100! So what else should you spend your money on? Advertising. A business isn’t a business unless you have customers, and advertising is one of the most efficient ways to tell people that you exist (the first step for finding customers). Advertising can cost any amount, starting with free. Tell your mom about your new business — that’s advertising! The other way that advertising can be “free” is if it’s producing more profit than it’s costing. If you have a great offer that people are eager to buy, then you’ll be able to get a good ROI (return on investment). As long as you’re getting a good ROI you should spend as much money on advertising as you need to so as to acquire as many customers as you desire. So, there you have it! 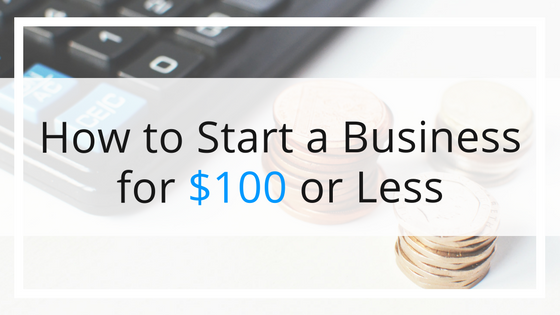 How to start a business for less than $100. Thank you so much for listing the steps to be taken. Simply having an orderly list clarifies an ambiguous task. Still working out the concept and name, hence the question mark. Great step-by-step, Gillian! Thanks for sharing!